Download Nomination Entries forms (Editable PDF’s) by clicking here.- Deadline for Entries is Midnight, Wednesday 24th April 2019. 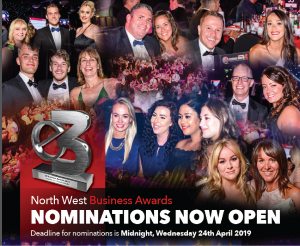 Applicants must be based in the North West at the time of entry and award presentation.Applicant information will be treated as confidential and will not be used for any purpose other than judging for the E3 Business Awards.Applicants can enter a maximum of 3 Award categories. Entries will be judged by a panel of eminent and impartial adjudicators. 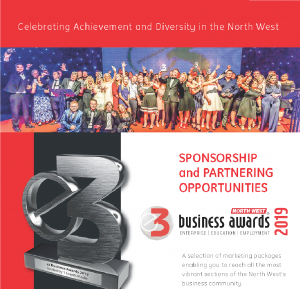 Winners will be announced at the E3 Business Awards Dinner on Thursday 11th July 2019, held at the Premier Suite, University of Bolton in Bolton. We encourage all finalists to attend the evening with their team / colleagues to celebrate business success. To book your place, please visit our booking page. Any answers that exceed the word count will not be included as part of your entry. With the exception of the Business Overview (150 words), all other questions have a 250 word entry limit. 1. Judging panel interview (20 mins max)– This will comprise a verbal presentation about your business followed by Question & Answer session with the judges. 2. Production of a 30 second video clip about your business and your reason for entering the awards. Examples of previous finalists can be found here. These videos will be used for the evening, social media and the website. 3. Professional photography (for the magazine, website, social media and other relevant marketing channel). See previous examples here. The decision of the judges is final and no correspondence will be entered into. The winners will be the businesses that, in the opinion of the judges, demonstrate the greatest fulfilment of the category criteria. Award winners may state in advertising/ promotional activity and on their stationery that they are a winner but this must state the category and the year in which the award was won. 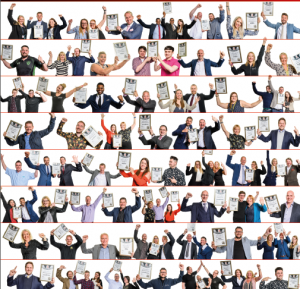 All finalists and winners consent to take part in PR and publicity relating to the E3 Business Awards; the appointed PR agency will contact all finalists to gather individual information and quotes for future press releases and features.